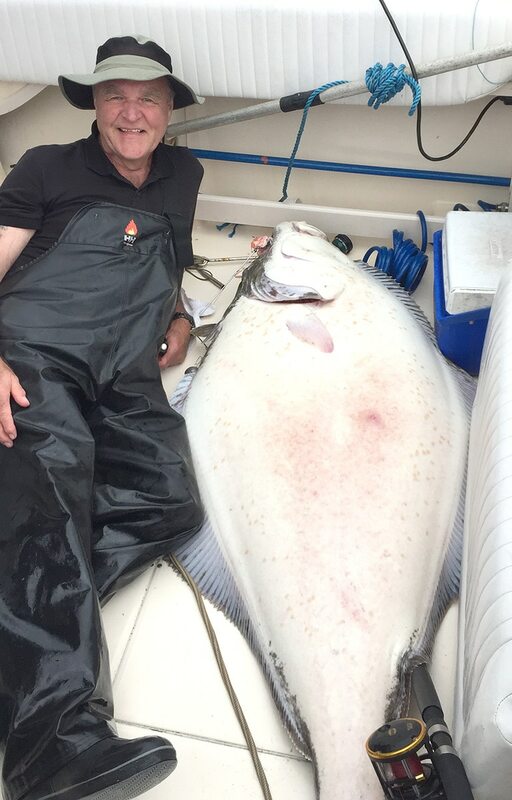 Up close and personal… with 234 pounds of Halibut! While it was pretty feisty at the surface, once it was sunny side up on the deck it tamed right down and allowed for a quick measure and some photos before the guys heaved the giant back into the water! With a huge smack of its tail it promptly scooted right down out of sight. At 76 inches in length this big momma should weigh about 234 pounds! It was quite an amazing experience for Larry and his brother and they have loads of photos and video to help share their big fish story about the one that DID get away! Well done!